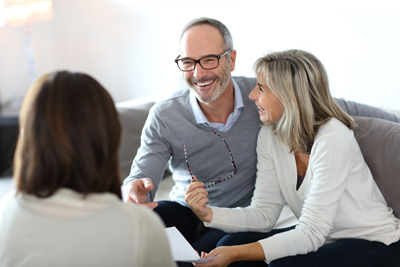 Money For You Mortgages is a new and dynamic mortgage advice company, behind the scenes there is a wealth of knowledge and experience to assist you with any situation that you may need help with. If you have a question about our services our team is here to help you. A disclosure statement is also available on request. James made my mortgage a breeze. Everything was explained clearly and all the hard work was done for me. Being a first home buyer there is enough to think about but James made everything easy. If you are looking for a good Mortgage Broker I highly recommend James. James has given us great advice and support over the years. His knowledge and expertise of the property industry has helped us grow our property portfolio. James makes getting a mortgage hassle free. His efficiency and attention to detail ensures that all the right information is received by the bank, while we sit back and relax. We feel confident and secure with James because we know his number one priority is looking after our best interests. How do I save money by using a mortgage broker? A mortgage broker keeps abreast of all of the bank’s interest rate deals and banking fees, they will leverage what they know of each of the lenders to get you the best deal given your individual situation. This would generally mean that they will save you money on interest cost or bank fees. Your mortgage broker will also structure your mortgage lending so that it suits your income and lifestyle however in a way that will help reduce the term of your lending and therefore save money on interest cost. Does it cost me to use a mortgage broker? A mortgage broker does not charge you the client a fee, they get paid by the banks to provide them business. The bank’s commission rates do vary however a good mortgage broker will always match your personal situation to a banks products and services that are on offer. Don’t the banks do the same thing as a mortgage advisor? Each bank will offer their own range of products and services, however, your mortgage advisor can go to all the banks on their panel and shop around to ensure that you get the best deal given your situation. It’s not necessarily in the banks best interest to give you the best deal in the market as this may mean they won’t make as much money from you. Can a mortgage advisor really save me time? A mortgage advisor will do all of the running around for you to ensure you get the best deal for you. This will save you time in going to each bank yourself to find out what they know already. A good broker will have knowledge of most of the bank’s criteria and match this to your requirements, they will also liaise with professionals such as lawyers, accountants, valuers and building inspectors to keep the process moving along for you. Will there be less stress if I use a mortgage broker? Buying a house is known as one of the most stressful things you can do, there is a lot of emotion attached to a house purchase. Your mortgage broker will approach the banks on your behalf, prepare your application for approval, liaise with the appropriate professionals and advise you of ways to save money through the correct mortgage structure, during this time they should be keeping you informed of progress at each step of the process. Can I not just negotiate directly with my bank?? Your bank certainly wants your business, however they may not necessarily be able to offer you the exact product or pricing to meet your expectations. They will offer you what they have available within their suite. A mortgage broker will look around all the banks and meet your needs exactly and then arrange this all on your behalf. If I've already been turned down, can a mortgage advisor still get me a loan? Yes, each bank has their own criteria and credit policy, your bank may have turned you down because of this as you don’t quite fit into their rules. Another bank may think differently and be able to approve your loan. Your mortgage advisor will be able to quickly assess your situation and make a recommendation as to your best chance of success. 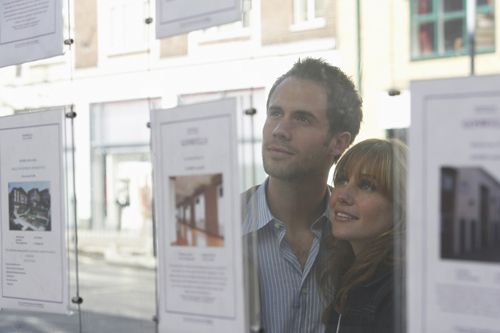 How do you choose a good mortgage broker? Always look for a mortgage broker that has proven experience and success, talk to friends or family who may have used a mortgage broker and ask for their recommendation. You want a broker that will listen to your requirements and who will deliver on these for you. Testimonials are an indication of service delivery.